The 'excellence laboratory' Carmin was selected by the Investments for the Future programme of the French government, in the category 'thematic scientific institutes for hosting world class researchers'. Carmin federates four complementary partners, namely CIMPA, CIRM, IHES and IHP. It thus has many affiliations, such as the Ministry of Higher Education, Research and Innovation, the national centre for scientific research (CNRS), several universities (Sorbonne Université, Aix-Marseille Université, université Nice Sophia Antipolis, université Paris Saclay), the French Mathematical Society and UNESCO as well. Organize or attend one-week research schools, conferences and other shorter or longer events (such as workshops, research in pairs, thematic sessions, etc.). Many of these activities are partly subsidized by CIRM for board and lodging. Apply for a Jean-Morlet Chair semester, a unique opportunity to run your own programme of events and spend 6 months in Marseille. Researchers can live onsite, develop intensive collaborations with researchers at Aix-Marseille University and invite international visitors. Run workshops over several years on topics in mathematics at large, as well as maths in interactions (with biology, economy, society etc.) - from 2019. Attend courses as part of the bespoke Interface programme in mathematics for industry - from 2019. 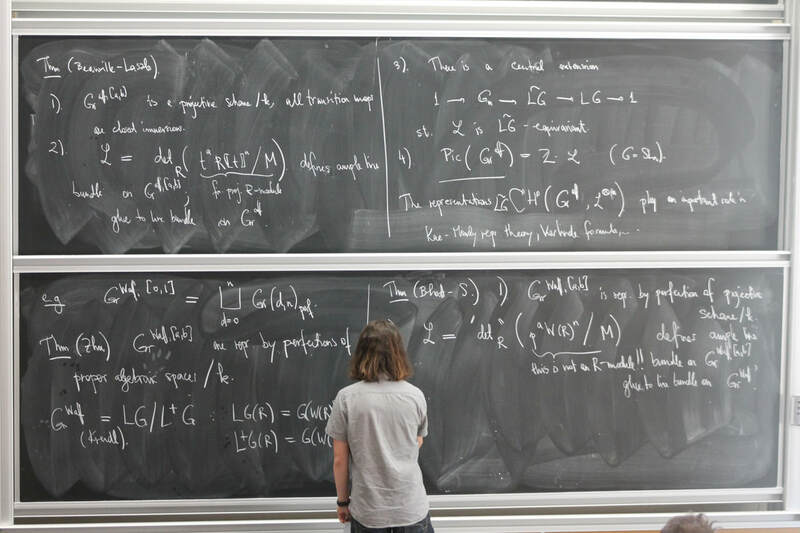 IHES aims to encourage theoretical research in mathematics, physics, human sciences methodology and any other related theory-based discipline. Free of teaching duties and administrative tasks, its professors and visiting researchers undertake research in complete independence and total freedom, at the highest international level. This prestigious institute also proposes various activities such as thematic trimesters, seminars, “Cours de l’IHES” as well as summer schools on different topics. The Centre International de Mathématiques Pures et Appliquées (CIMPA), founded in France in 1978, is a nonprofit organisation working for the development of mathematics research in developing countries. CIMPA Research Schools: This is the historical activity of CIMPA, it focuses on areas where there is a real drive to develop mathematics and where there is a scope for a research project. Calls for proposals are launched every year to organise about twenty research schools per year. Support for Training in Research: This program consists in funding the organisation of a series of research-level courses in mathematics within the geographic areas of activities of CIMPA (Africa, Central and South America, Asia). Every year, two calls for proposals are launched with deadlines in early January and early July. 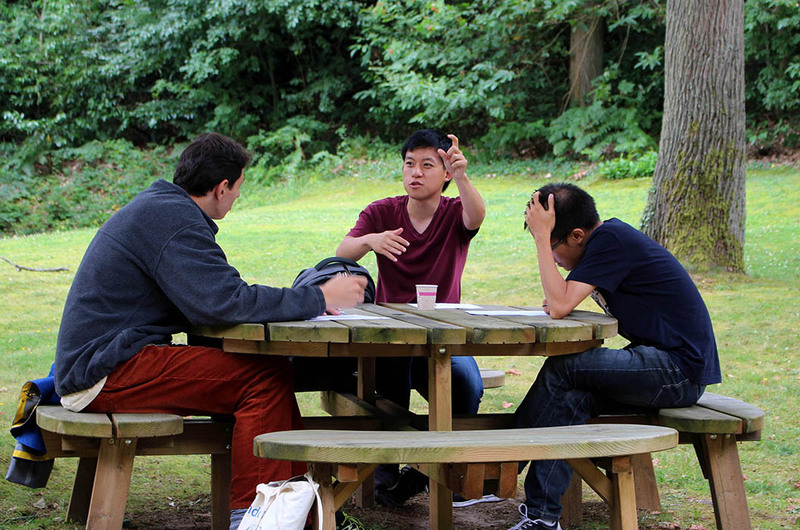 Short-Term Thematic Programs: CIMPA funds the participation of young mathematicians from developing countries to short-term thematic international programs organised by some of our partner institutions. A call for applications is opened for each program. Other actions strongly supported by CIMPA include activities developed in close collaboration with continental mathematical unions such as the Schools in Parnership whose purpose is to introduce undergraduate and master students to the research in mathematics. For most of its activities, CIMPA works in partnership with other bodies with similar objectives like the International Mathematical Union (IMU), the European Mathematical Society (EMS) and the International Centre for Theoretical Physics (ICTP). IHP - The Institut Henri Poincaré (IHP) has been the 'Home of Mathematics and Theoretical Physics' since 1928. 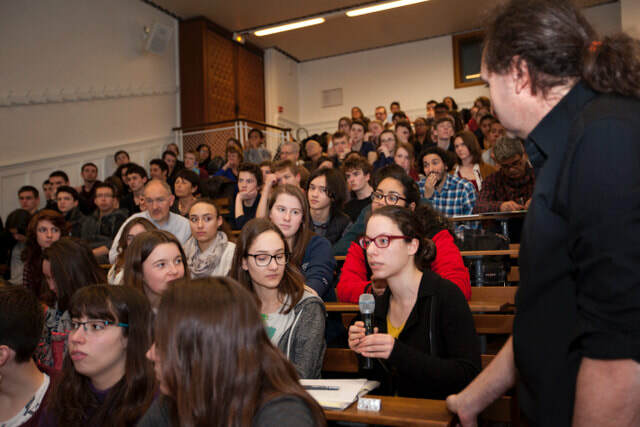 In order to encourage interdisciplinarity as well as interactions between scientists from all around the world, the IHP hosts various programmes in the very heart of Paris. - Three thematic trimesters per year, devoted to cutting-edge research with up to 200 participants each. 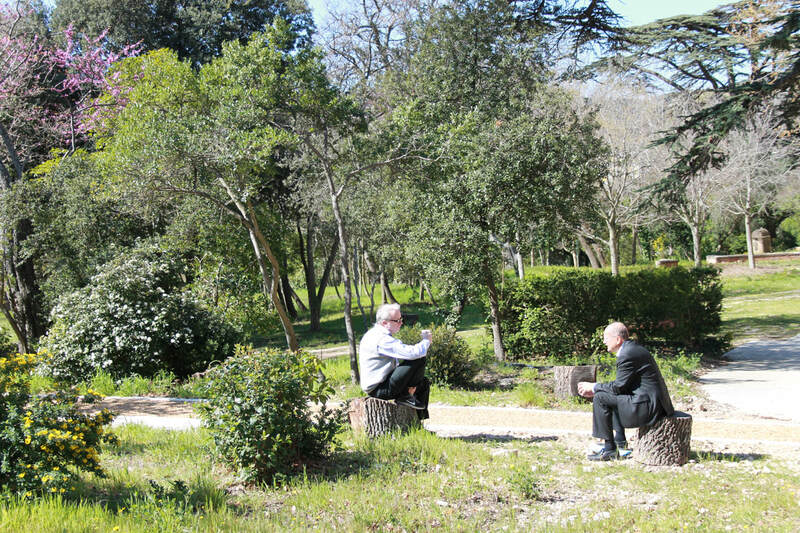 - Meetings between small groups of researchers ('Research in Paris' programme). - Series of high-level PhD lectures designed for both French and foreign students. - The Poincaré Chair, created in 2013 with the Clay Mathematics Institute, offering ideal working conditions to two promising young researchers per year. - Various regular seminars, such as the Bourbaki seminar (mathematics) and the Poincaré seminar (theoretical physics). The IHP has an outstanding free-access library in mathematics and theoretical physics. It is also involved in mathematics outreach, with dissemination actions towards politicy makers, the media and the general public through artistic, entertaining and interactive events. By 2020, IHP will have a new, refurbished building and will therefore be able to accommodate more scientific and outreach activities.